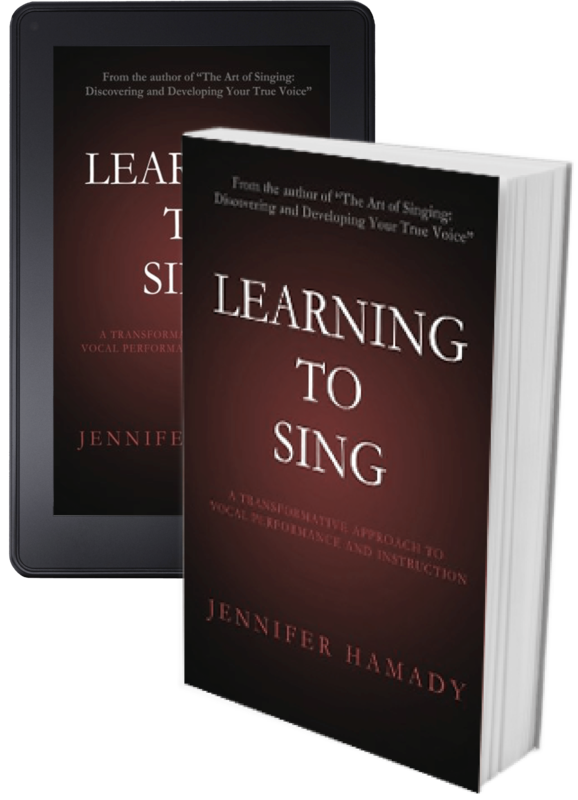 Learning To Sing is a thoughtful and thought-provoking discussion of the principles of voice coach and counselor Jennifer Hamady’s innovative teaching method, excerpted and adapted from her graduate thesis. In this brief and efficient work, Jennifer provides an academic look at the psychology, physiology, and neuroscience of the concepts presented in her book “The Art of Singing: Discovering and Developing Your True Voice”, further revealing the ‘how’ and ‘why’ of her method’s effectiveness. Following an overview of the common roles of the intellect and emotion in singing and instruction, Jennifer details how to engage the voice, body, and mind in a manner that results in all three functioning cooperatively, effortlessly, and effectively. Singers, teachers of singing, voice students, music educators, and performers in all genres will appreciate the freedom and revolutionary implications of the insights contained within for singing, learning, and life itself; in the final chapter, Jennifer presents a powerful, research-supported prescription for how to achieve the same types of breakthroughs and outcomes in all areas of living… Read More. Anyone who calls themselves a singer. It’s the cheapest vocal therapy session you will ever get. Just perfect. Compared to The Art of Singing I felt this book was speaking to the reader more maturely, as if we graduated one class and moved on to the next level of delving within us. The Art of Singing was a more simplistic approach, an introduction fit for all levels, beginning and professional. It was an eye opening experience for me as a singer.